A group of Renfrewshire teenagers will be hitting the catwalk this spring with a very different look. 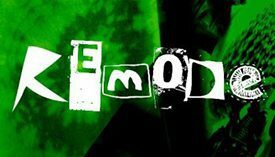 The models walking the runway at fashion show Ripped Up by ReMode will all be wearing clothes they’ve re-made from discarded fabric, whether donated or rescued from landfill sites. 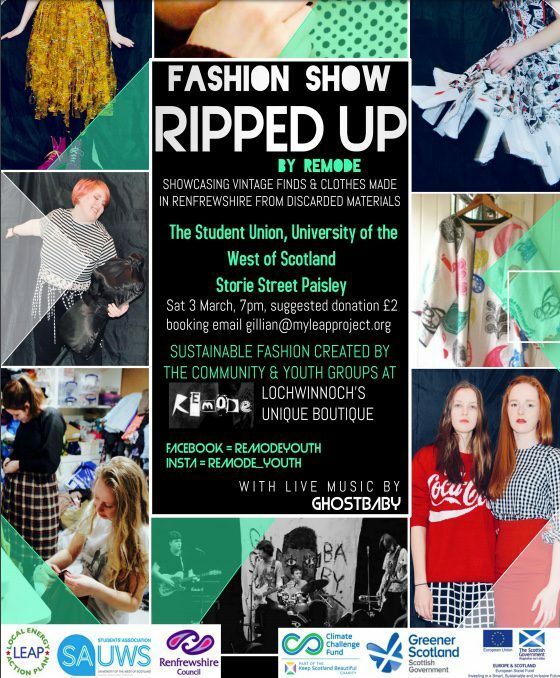 Ripped Up by ReMode is the culmination of a year’s work at Lochwinnoch-based community project and upcycled fashion boutique ReMode, which offers free workshops in upcycling and clothing design for young people and the wider Renfrewshire community. All of the weird, wonderful and at times out-of-this-world clothes on show have been constructed from discarded donations by young people and participants from the community, working with experienced designers, artists and industry professionals. The models will also showcase a line of unique Paisley-patterned kimonos created as part of a Renfrewshire Council-funded project called Our Pattern. Ripped Up by ReMode has been developed in collaboration with Paisley 2021’s UK City of Culture and Heritage Fund and The University of The West of Scotland’s Sustainability Hub.